Hi guys, I have read up on the ending a AST agreement threads and also numerous other website on section 21 and it seems that there's a lot of conflicting information around. I have a fixed term assured shorthold tenant that started an agreement on 14th march 2011 and ends on the 14 august 2011 as a 6 month agreement with the previous landlord. It is now a periodic tenancy. 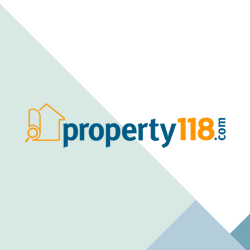 (bought property in December 2014) So would the last date of the notice if served for example today on (10th may 2015) be for 13th July 2015 or the 14th of July 2015 for a section 21 notice to be valid? Also does it matter the date of notice if the rent is paid on the 1st Friday of every month ( i.e. every 4 weeks - 7th April 2015, 1st May 2015) rather than between the 14th to the following month? I've also had a recent letter from Halifax dated 7th May 2015. "We're writing to let you know that we have been contacted by RBS. They have advised us that they have £351 to your account by mistake, on 7/4/15 and 1/5/2015 twice. In order that we can rerun the money to them, can you please sign and date where indicated below and return this letter in the enclosed pre paid envelope"
And has anyone ever heard of the tenant requesting their bank to recover 2 months (April and May 2015) rent back (bank letter dated 7/5/15) by writing to my bank as they said on the letter it was a mistake? The tenant certainly hasn’t made me aware of this nor given me notice she wants to leave so I believe I should just ignore my bank and this is just normal rent she’s paid since February 2015? She is a paying tenant of mine and the only way I can think of the new claw backs by banks if it was intended for the wrong bank account or by mistake, so I don't need to pay her back right otherwise she will be in arrears? I think the tenant is trying it on, and she is making it very hard to contact her. I have a fixed term assured shorthold tenant that started an agreement on 14th march 2011 and ends of the 14 august 2011 with the previous landlord. It is now a periodic tenancy. So would the last date of the notice if served for example today on (10th may 2015) be for 13th july 2015 or the 14th of july 2015 for a section 21 notice to be valid? And have you ever heard of tenant requesting the bank to recover 2 months (april and may) rent back? The tenant certainly hasn't made me aware of this so I believe I should just ignore my bank and this is just normal rent she's paid since February 2015. I did think so, as the estate agent's manager that was selling the property at the time did say she's can't remove fixtures and fittings in that respect. Also how would an inventory work now, I've heard from 2 separate agents that I've enquired to take the management service with that I can't do an inventory now mid way through (I do have a basic inventory of fixtures and fittings with the attached to the previous tenancy agreement). How about the pictures that were taken by the estate agent as marketing before the sale of property (and the condition of the property was pretty much identical to when it was sold, as I checked 1 week before completion). Isn't it possible to have a new inventory, now if signed by the tenant (whether keeping the same tenancy agreement, new AST?) I did also have a witness in the form of an estate agent 1 week before completion of the property to verify the condition of the property.